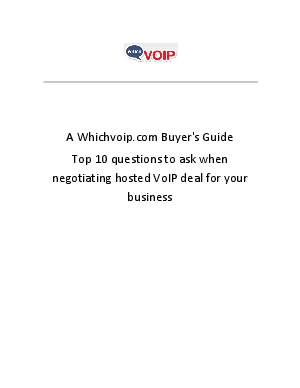 One of the main reasons for the explosive growth in VoIP service is the available cost savings. These cost savings come from a number of advantages that VoIP has over traditional phone service. In this whitepaper, we will explore some of these cost-saving advantages and give you the top 10 questions to ask a provider, ensuring you get a reliable, feature-rich business phone system that can save you thousands each year.